Your Grandmother’s Flower Garden blocks are so beautiful! The hand-dyes are gorgeous. I like your plan for accomplishing your goals by breaking it down into manageable moments. I have arthritis in my right hand so tend to switch from cutting, to sewing by machine, to knitting and then back again to give myself a rest. Aren’t we lucky to have so many interests and ways to get them done! Have a great week. 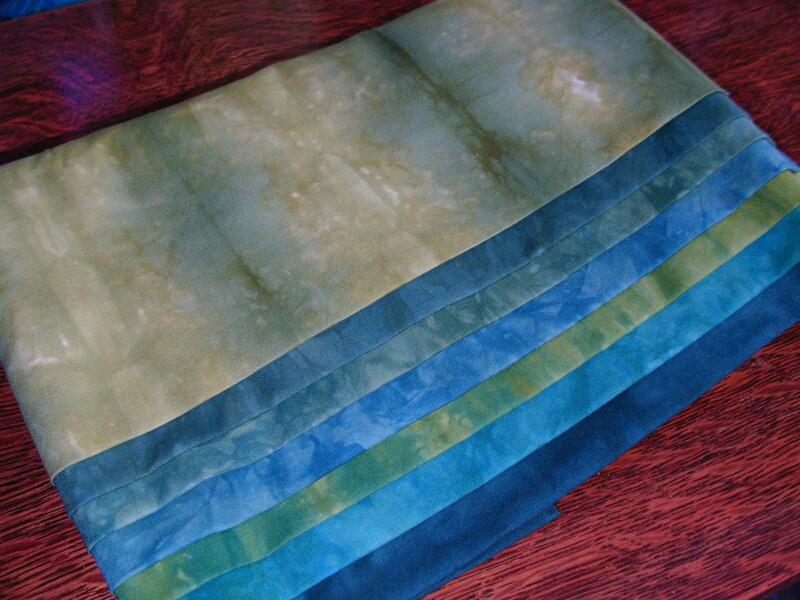 I love those hand dyed fabrics. Now you have to make something with them or have them languish in your stash for several years. I can’t wait to see what you’re going to make with them. I hope they don’t go into your “too good to cut” category…. Speaking of that, I need to get back on my TGTC project. It is in the flimsy stage, it needs to move onto the quiling stage! You’ve been really busy this week! I love Vicky’s fabric too! I want to start a hexagon project too but I haven’t been working on my applecore very much so I’m holding off a while. I’d really like to finish one before starting another! I’ve got a couple of Vicki’s fat quarter sets too…they’re very nice aren’t they? I like the idea of recycling the bath mat. 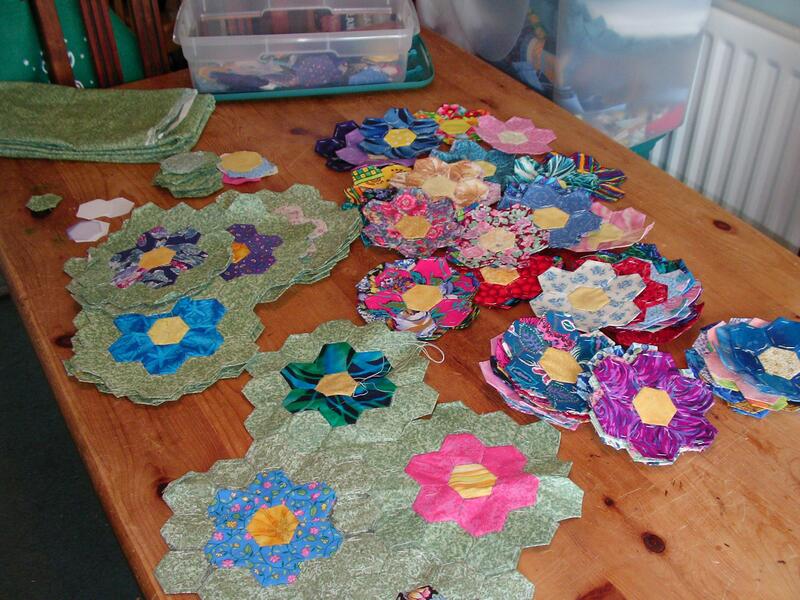 Keep up the great job with the Grandmother flower garden, mine is waiting to be hand quilted.